see EMB @ 100: Marking the Centenary. see her Dalhousie Originals profile page and video. Born in Munich just before the end of the first World War, Elisabeth Mann Borgese had an unusual upbringing, living in Germany between the wars, growing up with a Nobel Prize-winning father, going into exile as a teenager, and moving in stimulating circles peopled by creative individuals, with strong literary, musical, and political interests. Not surprisingly, this nourishing background produced a remarkable woman who led a remarkable life. Her parents were the author Thomas Mann and Katia Pringsheim, and among her five siblings were an actor and a writer. Thomas Mann moved to Switzerland in 1933 shortly after the Nazis came to power. Critical of the regime, he was formally expatriated in 1936, and deprived of his honorary doctorate from the University of Bonn in 1937 (this was restored in 1946). In 1940 he became an American citizen, living in California. In 1939 Elisabeth married G. A. Borgese in Princeton, New Jersey, and moved to Chicago, where her husband was a professor of Italian literature at the University of Chicago. The Chicago years laid the foundation for her later work on international law and the oceans. Of particular significant was her involvement from 1945 to 1952 with the Chicago Committee to Frame a World Constitution, which was a multidisciplinary university group that drafted a world constitution and commented on other universal constitutions produced by non-governmental organizations and private citizens at that time. One of the provisions of the Chicago world constitution was to declare earth, water, air and energy "the common property of the human race" - the management and use of which was to be "subordinated in each and all cases to the interest of the common good." With McCarthyism on the rise in the US, Elisabeth and her husband moved to his homeland, Italy, in 1952. Suddenly widowed three months after their arrival, she remained in Florence editing and writing, while bringing up their two daughters. In 1964, her links with the United States were renewed when she accepted an invitation from Robert Hutchins, the dynamic founder and president of the Center for the Study of Democratic Institutions in Santa Barbara, California, to become a fellow of the centre. In 1967, she was struck by the proposal of Ambassador Arvid Pardo of Malta that the oceans should be considered the common heritage of mankind. This proposal struck a chord that resonated throughout Elisabeth's life and work. She took the lead in initiating a three-year project, culminating in 1970 with a major conference entitled Pacem in Maribus (Peace in the Oceans), which examined issues relating to the peaceful use of the sea. This conference, located symbolically in Pardo's home country of Malta and subsequently continued as a series of international gatherings held around the world, provided the stimulus for Elisabeth to establish the International Ocean Institute (IOI) two years later. At first, it served mainly as a conference secretariat and think-tank, which was actively involved in the third United Nations Conference on the Law of the Sea, in which Elisabeth herself was heavily involved. The IOI grew from its modest beginnings in 1972 to a network of 35 centres and focal points around the world. Amongst other activities, the centres have conducted courses, offered primarily for young professionals with responsibility for marine management in developing countries. In 1979 Elisabeth moved to Canada as a Senior Killam Fellow for one year at Dalhousie University. She was soon made a full professor in the Department of Political Science, becoming, in her own words, "the guest who stayed forever." She chose to make her home in Nova Scotia for nearly a quarter of a century, living in Sambro Head in a house with beautiful and inspiring views of the sea. Perhaps this contributed to her nickname, The Mother of the Oceans. At Dalhousie she taught undergraduate and graduate students, continued to work with the IOI, and even in her eighties, was actively involved in a wide range of projects relating to the oceans. She travelled the world to lecture, participate in conferences and workshops, and to receive honours and awards from governments, organizations and individuals. To the very end, her work schedule was gruelling and her level of energy, passion, and commitment extraordinary for a person of any age, let alone one who had already achieved so much. She became a Canadian citizen and received the Order of Canada. "The feminist-socialist ideals of my great-grandmother's time; the socialist humanism or humanist socialism of my father's and my husband's time are still with us. The democratic ideals, the ideal of universal peace are still with us, time present and time past, in time future. But time present, My Time, has transformed them, as future generations will transform what we have tried to build." Over her lifetime, Elisabeth Mann Borgese received honours from Austria, Germany, the United Kingdom, China, Colombia, the UN and Canada, and five honorary doctorate degrees. The author of many books, plays, short stories, papers, articles and even poetry, she was also a prolific correspondent and left behind an extensive collection of writings. With support from a very generous private donor and Dalhousie University, the Archives of Elisabeth Mann Borgese have been set up at Dalhousie's Killam Library, and a good portion of it has now been digitised. This collection makes a wide range of materials available for research purposes, with searching possible via the online guide. The IOI would like to acknowledge the generous financial support of both the Swiss donor and the university for the establishment of this valuable and historic resource, one of many fitting legacies in memory of EMB. 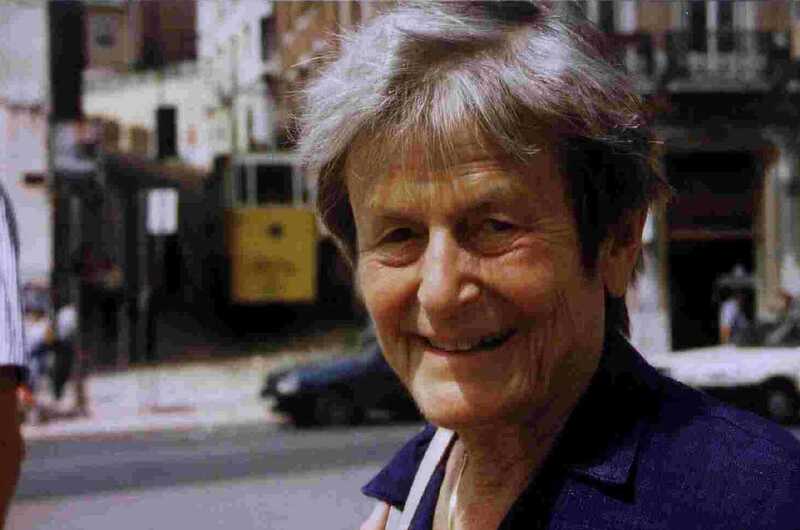 Another initiative, the Elisabeth Mann Borgese Ocean Lecture Series, was instituted by IOI-Canada in 2005 to commemorate and celebrate the life and work of Elisabeth. Details can be found on the EMB Ocean Lecture page. See also the 2018 celebrations to mark the EMB @ 100: Marking the Centenary.